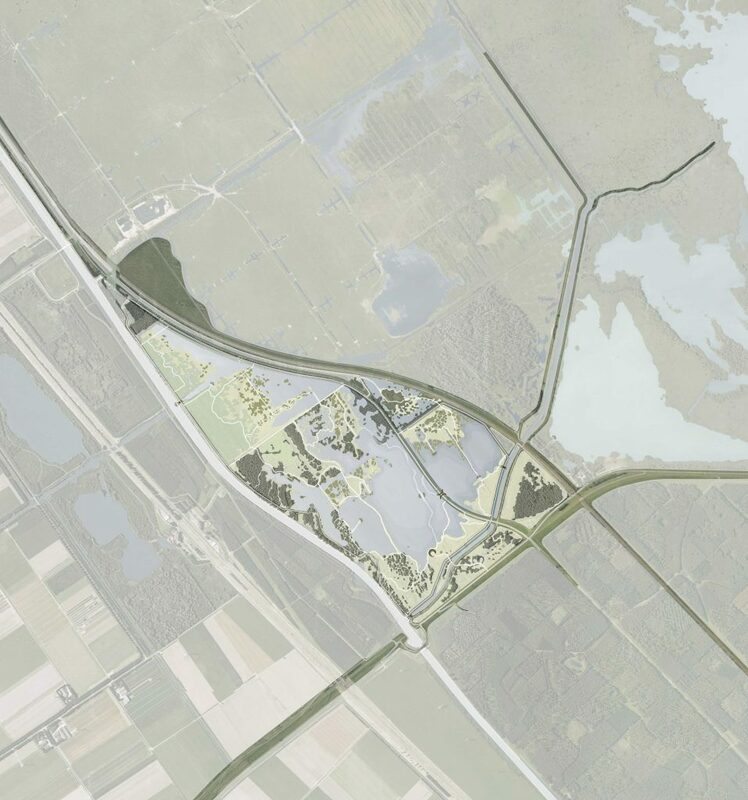 The Oostvaardersplassen natural area is located between Lelystad and Almere. 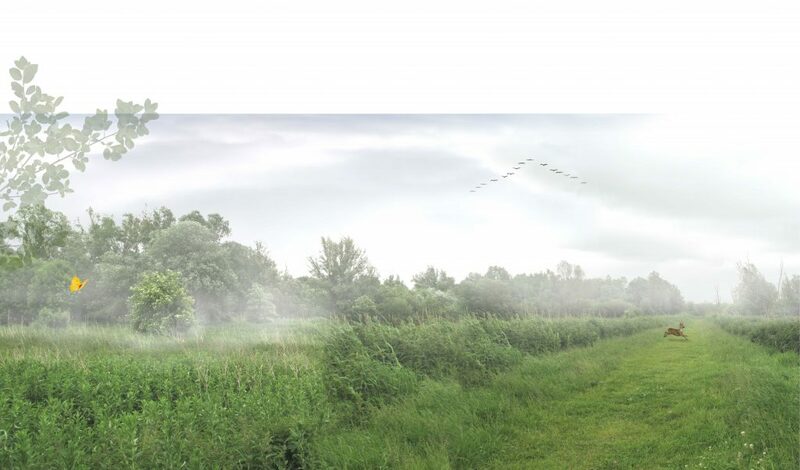 The area will be transformed into a natural landscape and recreational area of scenic beauty: the Oostvaardersland (15,000 hectares). 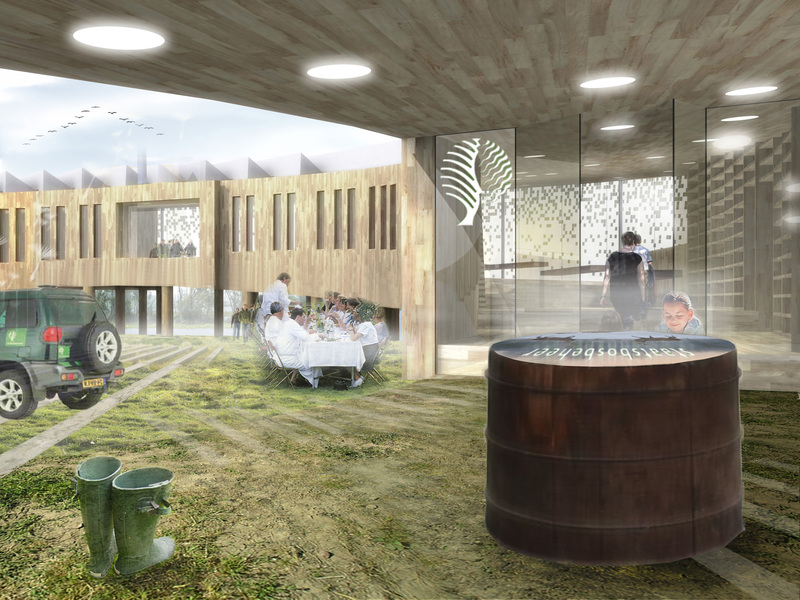 In 2009, the Forestry Commission (administrator of the area) held a public competition concerning the design of a new Natural Activities Centre (1,100 m²) for an expected 150,000 annual visitors. 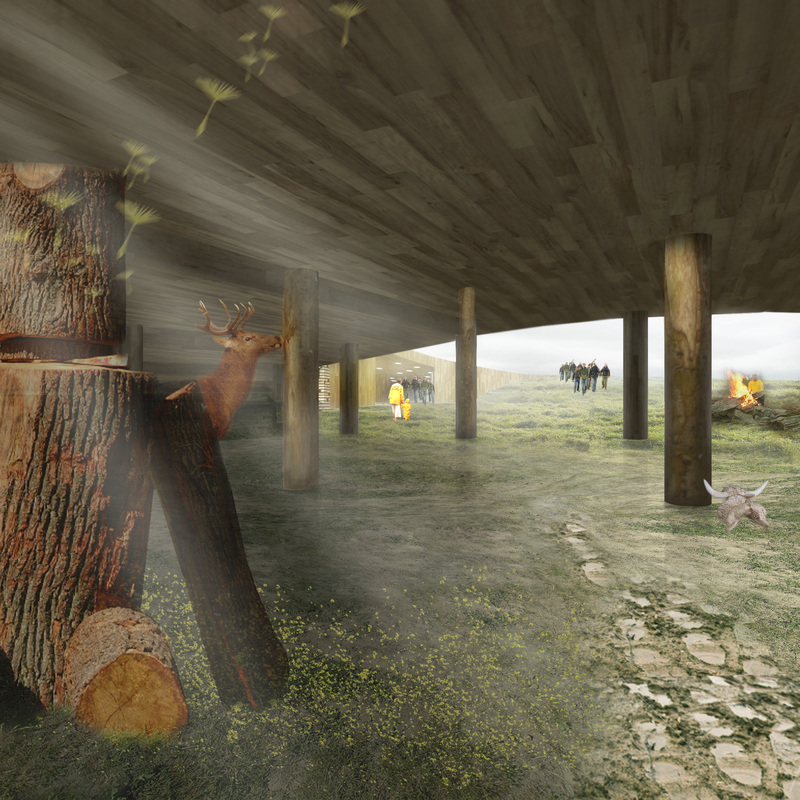 Bureau B+B, working in cooperation with HL Architecture, won Second Prize with a poetic plan in which the condition of the soil interweaves with the architecture and the landscape. The basis of the plan is formed by an intervention that will change the landscape: raising the water level and linking it to that of the Oostvaardersplassen. The large open lake that will form as a result will slowly silt up, leading to a new dynamic equilibrium. Seasonal fluctuations in the water level and weather influences such as the wind will determine the ultimate form of the area. 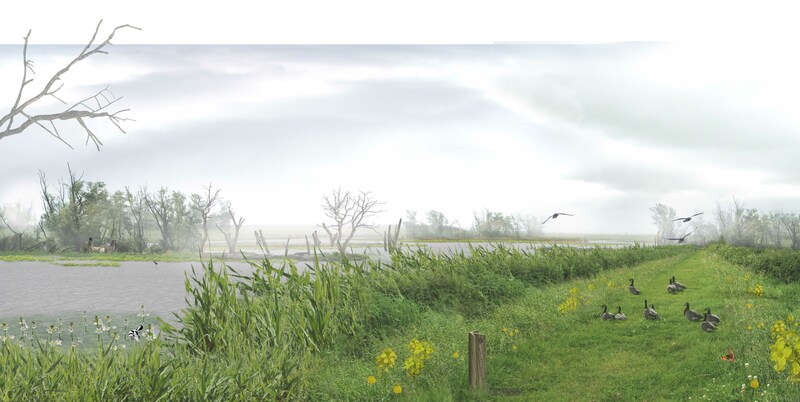 The visitors’ center is accessible via the Knardijk, from whose elevation one can look out over the entire natural area. 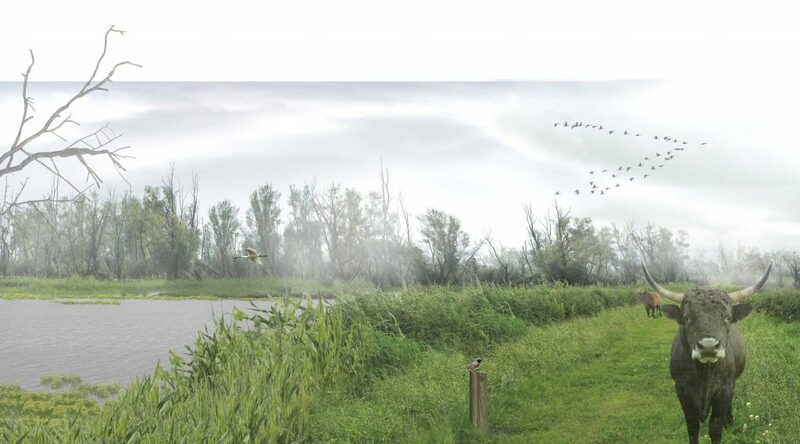 Between the willow trees, small narrow parking fields are located at the foot of the dike. A 3.5-m-wide path consisting of slightly separate sandy colored concrete railway sleepers winds its way towards the nature center, which stands half sunken into the former seabed looking weathered and as a part of the landscape. The ring-shaped gleaming building mirrors the nature around it and the constant changing cloud patterns. In, on, and around the building, a space will develop that will function as a base camp for long hikes, as a look-out point – the roof is directly accessible – and as a tranquil place to sojourn. Within the ring area includes: the entrance to the nature center, a play area, a fireplace and a long table.